Our Indian friend Indu, who has lived in Moscow for more than 10 years, has taught us to cook many wonderful dishes. This delicious south Indian shrimp curry was one of her first lessons. Not only is it tasty in itself, but its foundation is also universal! Double the number of ingredients (with the exception of shrimps) and make the base as described in steps 1–3. Then divide the resulting mass in half. With one half, cook the South Indian shrimp curry, and on the other, cook the pre-fried chicken fillet or prepared vegetables (potatoes, cauliflower, and green peas) with mushrooms. It takes almost as much time and effort, and there are two amazing dishes on the table at once! @Step 1 - Fry coriander and cumin in a dry heated pan, shaking for 2-3 minutes, then chop in a mortar. Chop garlic and ginger. @Step 2 - Finely chop the onion, fry in 2 tbsp. l vegetable oil on low heat 15 min. Add garlic and ginger, cook for 1 minute, add turmeric, red pepper, coriander and cumin, curry, and coconut, fry for 30 seconds. @Step 3 - Finely chop the tomatoes, add to the pan together with 1 tbsp water, tomato paste and sugar and cook until the oil separates, about 5 minutes season with salt and black pepper. @Step 4 - Peel the shrimp remove the black intestinal vein from the back, making a small longitudinal incision. Fry the shrimp in the remaining oil for 10 seconds from each side. Put 2 cups of hot water into the pan with the sauce, put the shrimp, and cook for 7 minutes. 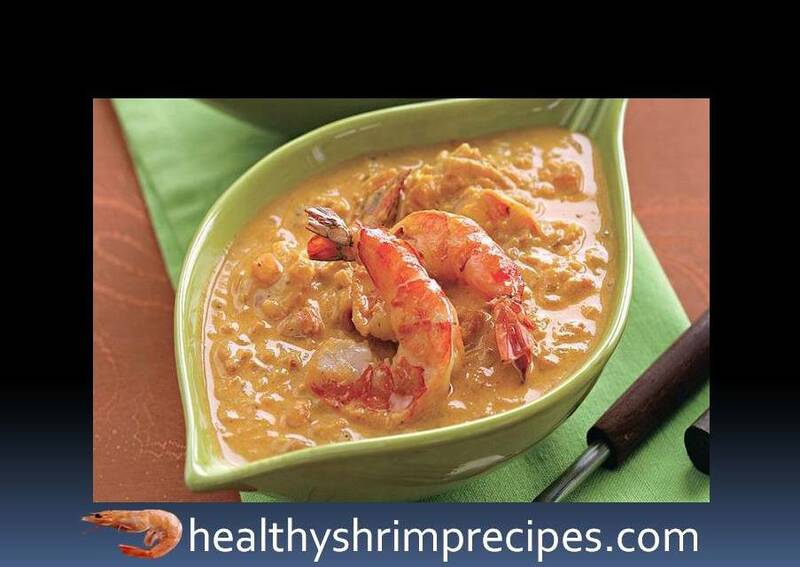 Your South Indian shrimp curry dish is ready to put in the cream, heat and serves immediately with rice.